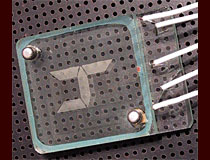 The TA-8032 is a pre-production laboratory sample of the (then brand new) RCA liquid crystal technology, which would eventually take over the world in everything from wristwatches to televisions. This display was made in October of 1970, and predates the release of the first LCD products by several months. 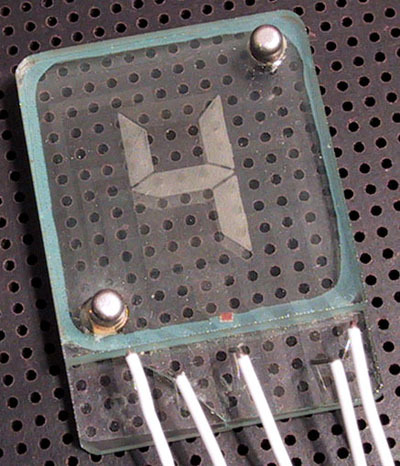 In effect, this is one of the first complete LCDs ever made, and it is very different from a modern liquid crystal display in both package and function. The most noticeable feature of first generation LCD technology is the inverted display; unlike a modern LCD which displays a black digit on a white background, early LCDs display white digits and must be mounted to a dark background to be legible. 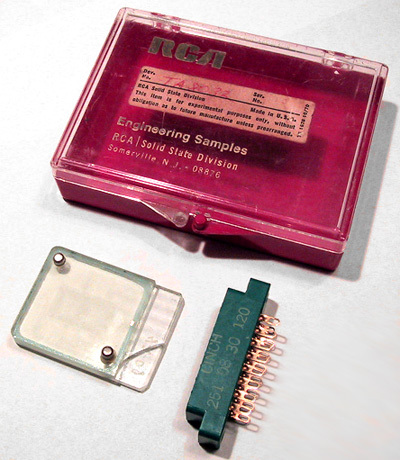 The glass envelope on the TA-8032 is so bulky compared to the size of the displayed digit that it borders on the ridiculous, RCA would have never released a display in such an impractical package for use in commercial products. The two metal posts on the front of the display may appear as though they are intended to hold the two halves together, but they actually cover the fill and vent tubation that would have been used during manufacture to pump the liquid crystal material into the display. It should be noted that LCDs which used this early dynamic scattering mode technology were very failure prone, and few have survived to the present day. The first practical LCD display did not arrive until 1973 when Sharp first released calculators based on its new and more reliable COS LCD technology. The RCA TA-8032 is a preproduction sample of first generation LCD technology. 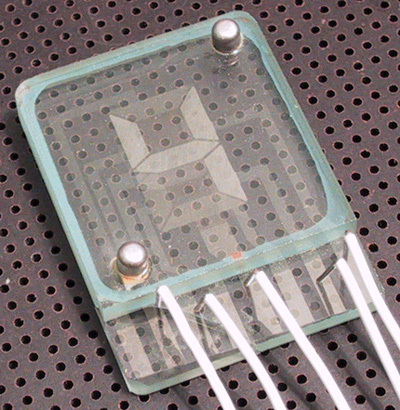 At this lighting angle, the interal structure of the display becomes visible. TA-8032 display with socket and packaging. The example shown here is a sample provided by RCA to the editor of Popular Electronics in 1970.